Content created: None. All marketplace. I didn't get very far... But I'm going to roll with this project afterwards. The struggle was real for this Jam! Last edited by Bino; 10-13-2016, 05:09 AM. Last edited by Gabor D.; 10-13-2016, 07:30 AM. *- Tired of Those Darn Aliens! Trying to take over the World! Probing whoever & whenever they like! And No One... No One Does Anything About It! Well now's your chance to 'Settle The Score' with those Pesky Darn Ol' Aliens. You've Stolen One of The Alien Ships Now Go, Blast 'Em Out of the Sky! We used some Epic Content, who wouldn't, mainly Materials & Particle Effects & some reworked Sound Effects, although most stuff we use is usually re-worked. The rest basically is simple & Original usually made in Blender n such. And even the game we submitted we wanted to add more but such is the way of the Jammer, eh? Last edited by ayretek; 10-13-2016, 04:55 AM. HTC Vive and at least a 3x3 meter area required. 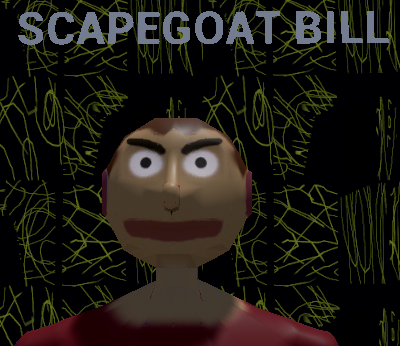 In this game, you traped yourself inside a basement. Nobody know how you f@#%$d up so bad, not even yourself, but you gotta find a way out of it. Use your wit, try to solve all the puzzles and finally get out of here! 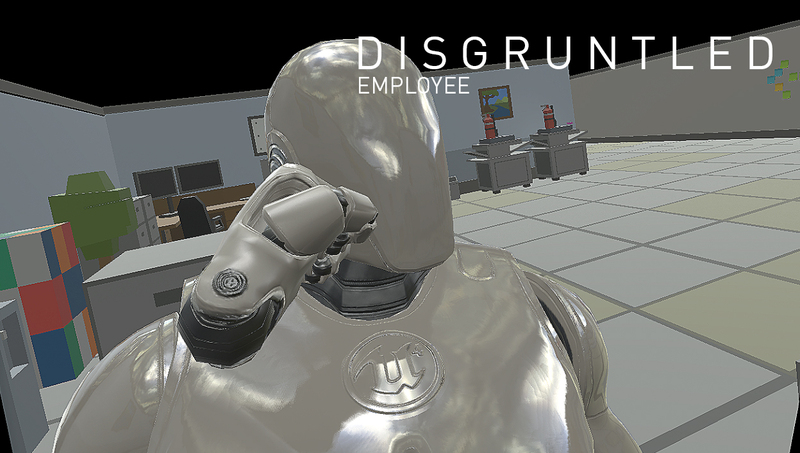 No human being where harmed during the development of this game... except our sound designer. Please, don't ask. The original submission suffered from a packaging failure, however the team has created a newer packaged version available here if you would like to try their game. Last edited by Allar; 10-26-2016, 04:36 AM. Adventurer Girl (main character) - H.S. Last edited by Mina; 10-13-2016, 12:43 PM. Premade content: Art assets from Infinity Blade Grasslands, Infinity Blade Weapons pack, Default Epic Mannequin, Default Widget elements. Choose the number that will make your score even with your opponents score. The numbers must be exactly equal. Morgue Pack [LINK] <---GET THIS! Music is starter music. Bee sounds were purchased. CODE_OMEGA IS IN EFFECT THE POSION USED TO KILL THE BEES MAKE THEM BIGGER AND BADDER AND NOW THEY WANT TO SETTLE THE SCORE. [E] to interact with other bees. dont mind the bugs... get it? As the most powerful robot ever created, you must defend mankind from the invaders. Prevent the aliens from killing 5000 brave souls, settle the score and take the fight to them. Last edited by Ketan; 10-13-2016, 12:37 PM. Last edited by YOYOMAN_MODDER; 10-13-2016, 09:41 AM. Instructions contained in README file. Basic instructions: WASD to move, arrow keys to fire; has both keyboard and controller support.